Finance Minister Arun Jaitley today explained in his Facebook post the rationale behind two particular proposals placed before the Goods and Services Tax Council. These two proposals are – Having a multi rate tax structure and Compensation to loss making states through cess. Reflecting on the meetings of the GST council that have been held so far, Jaitley said- “The meetings have witnessed an intense debate on several issues, which has been an excellent example of ‘deliberative democracy’.” The Union Finance Minister chairs the council while the Minister of State, in-charge of revenue of finance along with finance ministers of all state governments function as it’s members. Let us first look at the four slab multi rate tax structure proposed before the council. Under this, food items that constitute almost half of the weightage in Consumer Price Index are proposed to be exempted from GST. These items are presently being taxed below the rate of 3% (total tax of the Centre and the States). Apart from this, the balance items will come under four different tax slabs which have been suggested. These slabs will be 6%, 12%, 18% and 26%. Items which are presently being taxed under a particular tax rate will come under the slab that is closest to it’s current tax rate. For example, items being taxed between 3-9% will be taxed at 6% and those between 9-15% will be taxed at 12%. Also, there would be a standard rate of 18%. 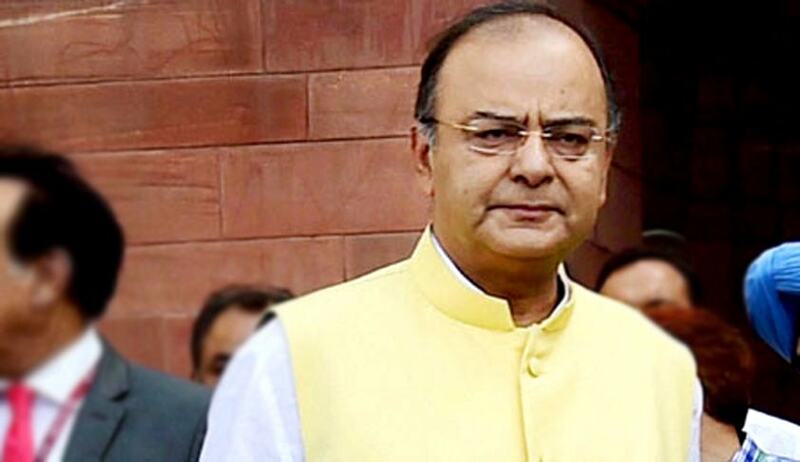 Justifying the proposal for a multi rate tax structure, Jaitley said that in India it was inevitable as different segments of the society will have to be taxed differently. “Air conditioners and hawai chappals cannot be taxed at the same rate” he said. Coming to the second proposal of compensating loss making states through cess, while consumer states stand to gain from the GST from the very first year itself, some of the producing states may have to incur losses initially. The GST Council has fixed a 14% revenue growth as a uniform, secular growth rate for all states and the revenue loss incurred by any of the states has to be calculated on this basis. Although the 126th amendment bill guarantees a five year compensation to loss making states, the question of funding this compensation still remains unanswered. Explaining that borrowing money for this purpose would be irrational as it would only increase the liability of the government, Jaitley said that burdening the tax payers by increasing the direct tax will not make sense. The notion of an additional tax within the GST to fund this was also dismissed saying that the tax impact of this levy would be exorbitantly high and almost unbearable. All these proposals will be discussed at the next council meeting in early November. Some developed countries that have 3-4 tax slabs are listed here.